One of the challenges this week for #edblognz was to meet a blogger atulearn who has inspired you. There were plenty of people there who I really admire and have helped me both as a teacher and personally. However the person that I want to write about was not at unlearn - in fact, I think she may have started the #notatulearn15 hashtag. The person I'm going to write about is Kerri Thompson. Many of you will know Kerri from one of projects that she has started recently. 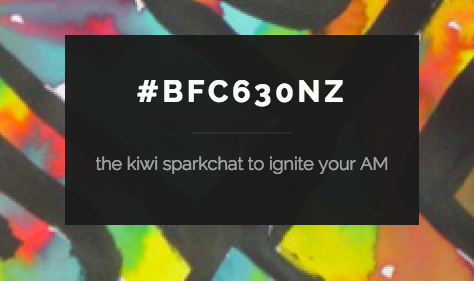 One that I know she is really passionate about is #BFC630NZ (Click here for the blog). This a quick and short Twitter chat each morning during the school term. Each chat is begins with a question to get things started, and the discussion moves from there. Kerri started this chat after taking part in a similar chat based in the US, and she felt we needed a kiwi version. I personally struggle to get up and going in the mornings, and my 3 children also hinder me from taking part. I have taken part a couple of times, but time constraints always seem to prevent me participating as much as I want. I really admire her for getting this going - she has managed to bring together a group of people who share her enthusiasm, and this will keep #BFC630NZ running for as long as possible. Again, this is a concept that she has participated in elsewhere and brought it to New Zealand. The Global Read Aloud is a project run by Pernille Ripp who is based in the US. She organises books for teachers to read to their class and helps teachers and classes around the world to connect with each other and discuss the books that they are reading. What I found, and I know others did too, was that you could base your entire literacy programme around this one book, not matter what is was. There were so many topics that we were able to explore, and so much learning came out of the books that Kerri choose - it was like she had planned all the insights that my learners were going to have during the term. Kerri has even involve the authors each time we have been involved. This made for a very powerful experience for my learners, because they were able to see authors as real people they could talk to, and not just a name on the cover of the book. It also helped my learners to understand that they could become real authors too - for them it made writing tangible and achievable. I know some kids will always remember these conversations, and it stars with Kerri. My class and I have been able to participate in two of the three NZreadalouds, and this coming term we are going to take part in our first Glocal Read Aloud. If you are interested at all,I really do recommend that you find out about it now - it's never too late to join in!